HIDALGO — U.S. Rep. Beto O’Rourke, D-El Paso, got a first-hand look here on Monday of what he refers to as a humanitarian crisis: the detaining of immigrants and the separation of their families as part of the Trump Administration’s new zero tolerance policy. 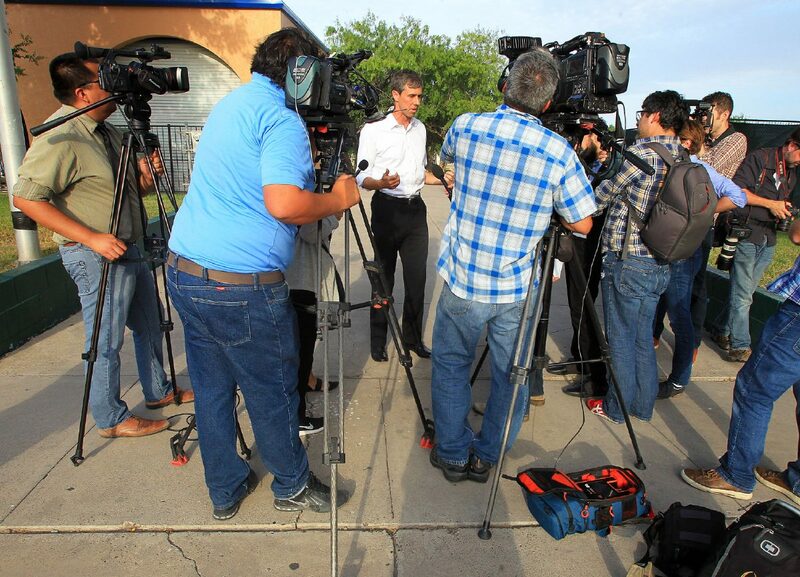 O’Rourke, who’s challenging incumbent U.S. Sen. Ted Cruz, R-Texas, in November’s general election, met with members of the media Monday evening at Memorial Park after spending his afternoon visiting the U.S. Border Patrol immigration processing center and a U.S. Customs and Border Protection port of entry facility. Beto O'Rourke, center, addresses the press and answers questions after seeing children and other family members detained by U.S. Customs and Border Patrol after illegally crossing into the United States during a press conference at the Hidalgo Memorial Park on Monday, June 11, 2018, in Hidalgo. The congressman said that, during his visit to the processing center, he met a young woman in her 20s from Honduras, and her 7-year-old daughter, who he said most likely did not realize they were going to be separated. O’Rourke recounted the woman’s 2,000-mile journey to the U.S. that began more than three weeks ago as parents, only yards away from the news conference, were cheering on their own children — some likely the same age as the Honduran woman’s daughter. 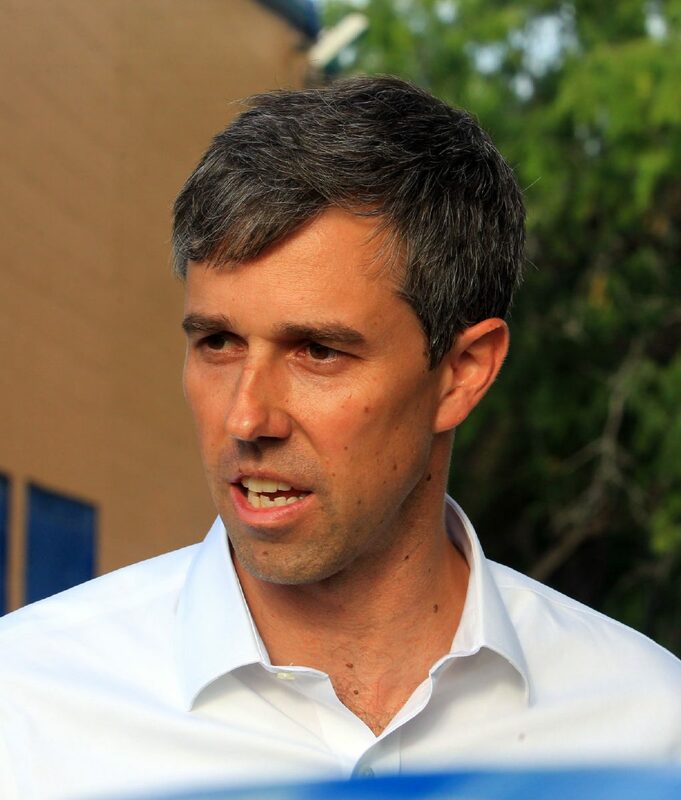 “These are folks who are in absolute desperate circumstances, and we are a better country than the one right now that is separating them from their families,” O’Rourke said. The directive criminally charges anyone caught entering the country unlawfully. In doing so, any families apprehended are broken up — adults are brought to federal court to be charged with misdemeanors, while children are sent to shelters and foster homes across the country. The policy has caught the attention of several non-border members of Congress, leading one to visit the Valley last weekend. U.S. Sen. Jeff Merkley, D-Oregon, attempted to enter an immigration detention center in Brownsville when local police were called. Merkley was not permitted to enter the Southwest Key Programs detention center in the former Walmart on Padre Island Highway in Brownsville. After being denied access, Merkley was soon asked to leave by officials at the facility. Also during his visit, Merkley toured Border Patrol’s McAllen processing center, as well as the Catholic Charities-operated Humanitarian Respite Center in downtown McAllen. The El Paso native said a long-term solution relies on better leadership — and that a short-term solution is the immediate end to separation of families. On Monday at the U.S. federal courthouse in McAllen, court personnel continued to deal with the aftermath of Sessions’ “zero tolerance” memo. Court officials confirmed more than 175 individuals appeared before a U.S. magistrate judge Monday in connection with a criminal immigration charge. As has been the case since the memo, and due to the larger groups of people being sent to the federal courthouse, court personnel divided the large groups into two groups. On Monday, more than 90 individuals stood before the magistrate in the morning, while another more than 80 people who were accused of illegally entering the country, appeared for their respective afternoon hearings. Asylum seekers from places like Cuba, Central and Southern America — finding no other place to go — were seen sporadically strewn across the length of the bridge, hoping to speak with CBP officials about applying for protection. 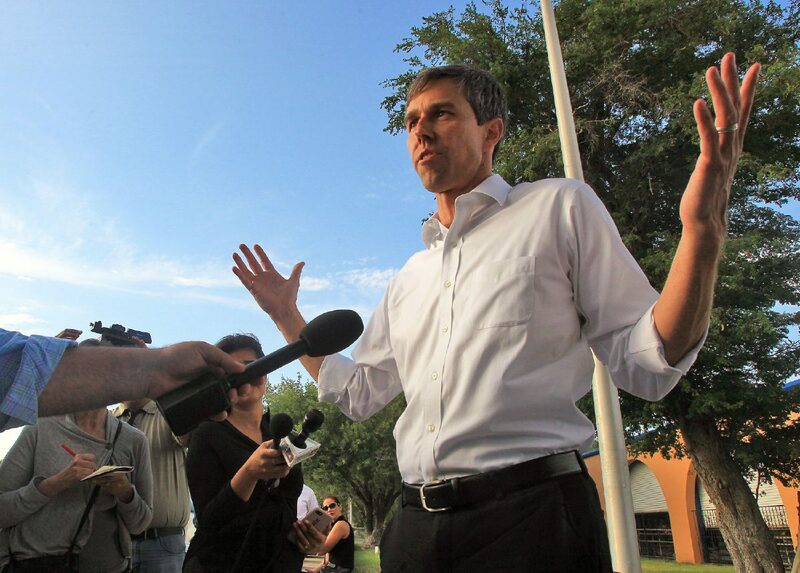 O’Rourke has seen similar incidents in El Paso, with CBP officers telling him that orders are coming from the top — and not by their regional superiors. He said the asylum seekers are told by CBP officers that the port is “at capacity,” and to try later, but that when they return, they are told by officials that they are not accepting anymore people. “This seems to be a 2,000-mile long border-wide policy of trying to reject asylum seekers before they can step foot on U.S. soil, which might violate our laws, it certainly violates international law, and beyond that, it’s just not who we are,” he said. When the family was in CBP custody in a McAllen processing center, the man “lost it,” and the Post reported that agents deemed him as a potential threat to fellow apprehended immigrants. Agents then moved him to the Starr County jail in Rio Grande City, according to the report. Merkley’s visit and the subsequent incident spread further condemnation from immigration advocates, who argue this is the continuation of the Trump Administration’s cruelty toward immigrants. Monday afternoon, Sessions, who has stated recently that these changes on immigration law are meant to further deter asylum seekers, ordered immigration judges to stop granting asylum to most victims of domestic abuse and gang violence. O’Rourke disagrees, stating there are no justifications for separating families, adding that generations after us will not believe what we were doing to asylum seekers. He was asked if he thought the separations did in fact deter people from crossing into the U.S.
“It might be (deterring them), (but) do we want to see (apprehension) numbers drop at that price, punishing people by taking their kids away from them,” he said. “There’s no good reason to do this, including “trying to send the message,” back to Central America not to make this journey, nothing justifies what we’re doing right now. Sessions, who used a case involving a victim of domestic violence to rule that survivors of such “private” crimes are not eligible for asylum under U.S. law, has the power to issue decisions that serve as binding precedents for immigration judges. The congressman said he was disappointed and that it was counterproductive. 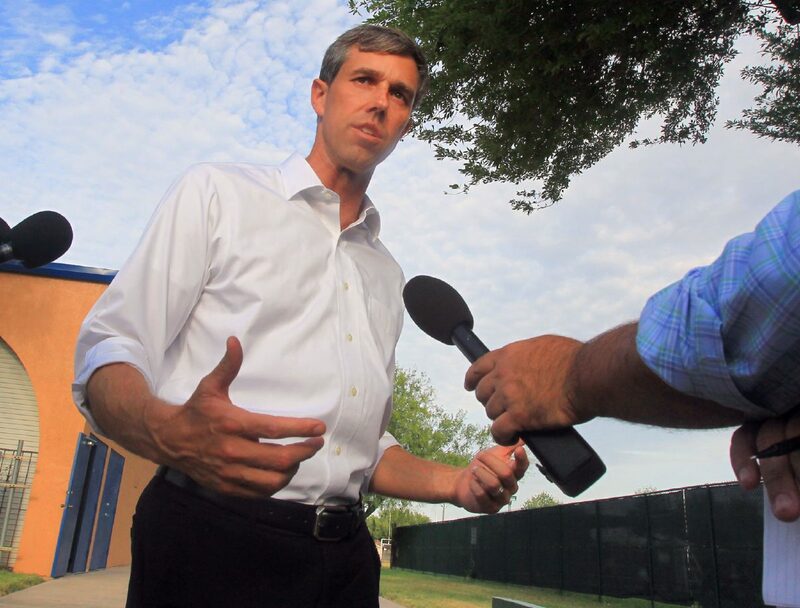 “I’m absolutely so disappointed in this administration in making this decision, it is not in the best interest of this country, much less those women fleeing that violence,” O’Rourke said. O’Rourke’s visit also comes at a time in Washington where a moderate contingency of Republican lawmakers work to force a House vote on bipartisan immigration legislation — specifically a program to replace the Deferred Action for Childhood Arrivals, or DACA, an Obama-era executive action program that gives protections to nearly 800,000 that was rescinded by the Trump Administration last September. Last week the aforementioned moderate GOP members set a Tuesday deadline for leadership to vote on a bipartisan immigration bill. O’Rourke is looking forward to a vote coming to the House floor — but is less optimistic about a long term solution to a permanent fix for Dreamers. He said he did not know what would happen but he’s optimistic an actual debate on these bills will finally be had. “This is a golden opportunity that we may not see again, those Dreamers hold part of the key to the successful future of this country,” O’Rourke said before leaving to meet with asylum seekers, and parents who have been separated from their children.